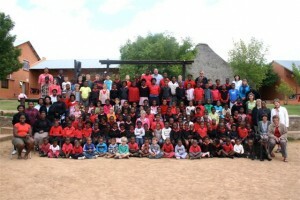 Since 2008 we have had growing links with the Dihlabeng Christian Church, Clarens, South Africa. Clarens is a similar size town to Keswick, close to the northern border of Lesotho and is also a holiday destination. The church is a vibrant multicultural one, seeking to serve the community in which it is found as well as having a heart for reaching the nations for Jesus. As part of it’s ministry it runs the Dihlabeng Christian School which by providing an excellent education seeks to break down the hold that poverty and disadvantage has over many families. We believe we are part of a world-wide family on a mission together and so it is great to be able to stand alongside our friends in Clarens and pray for them and support them in practical ways as opportunity arises. Individuals from here, and also from churches in Kendal and Grange-Over-Sands, have been out and helped in the school and the work amongst the poor there. Further information about the Dihlabeng Church can be found on Facebook; look for “Dihlabeng Christian Church” and “Dihlabeng Christian School”.